MELBOURNE, January 14. /TASS/. 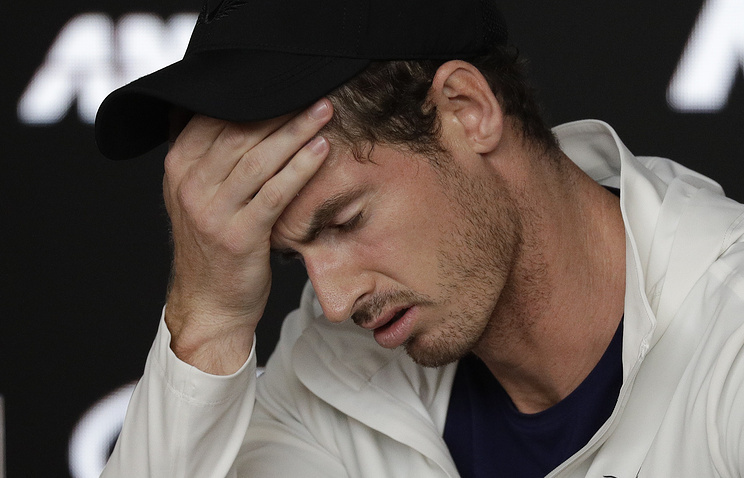 British tennis star Andy Murray, who hinted last week on wrapping up with his sports career due to a hip injury, suffered a defeat on Monday night in the 1st round of the 2019 Australian Open. In a match that lasted 4 hours and 13 minutes Murray fought hard but eventually succumbed to his opponent, Roberto Bautista Agut of Spain. Being two sets down, Murray fought back viciously to win the other two, but was eventually edged out of the Grand Slam tournament in Australia with the final score of 4-6, 4-6 ,7-6 (7-5), 7-6 (7-4), 2-6. Bautista Agut, seeded 22nd, is now set to clash in the 2nd round with Australia’s John Millman, who cleared the opening round with 6-3, 3-6, 7-6 (7-3), 6-2 win over Federico Delbonis of Argentina. "I've honestly loved playing here over the years. It's an amazing place to play tennis. If this was my last match, (it's an) amazing way to end," Murray was quoted by the tournament’s official website as saying after the match. "I gave literally everything I had. It wasn't enough tonight." Last week 31-year-old Murray announced to journalists that he intended to wrap up with his sports career after this year’s Wimbledon, meaning that the 2019 Australian Open could be his last Grand Slam competition to play here. "I’ve been in a lot of pain for about 20 months now. I’ve tried everything I could to get my hip feeling better. It hasn’t helped loads, I’m in a better place than I was six months ago, but I’m still in a lot of pain. It’s been tough," Murray told a news conference in Australia last Friday. In January 2018 Murray underwent a hip surgery and since then he kept struggling to get back into his staggering on-court shape, which saw him accumulating a total of 45 career titles along with three Grand Slam crowns and brought him the 2012 and 2016 Olympic golds in men’s singles. This year’s first Grand Slam tournament, the 2019 Australian Open, has $44.5 million in prize money up for grabs and runs between January 14 and 27.